Where will you be able to buy one? We’ll have more data on the 2020 Kia Soul EV once we drive one—soon, we hope. The 2020 Kia Soul EV leads the battery charge, fashion first. 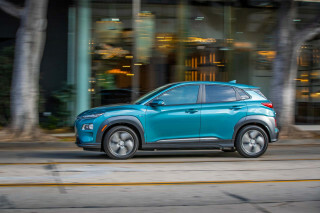 The 2020 Kia Soul still quaffs gasoline in most of its trim levels, but one of the kicky hatchbacks in the Soul family draws its inspiration from the grid: The 2020 Kia Soul EV. With the Soul EV, Kia has its second electric car that steers completely clear of fossil fuels, at least on the OEM side of the equation. The 2020 Soul EV shares all its critical dimensions and style with the standard Soul, so flip the page to our 2020 Kia Soul preview for more on the fundamentals. Let’s talk battery instead. 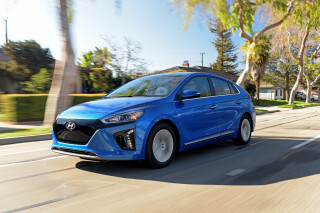 The Soul EV now sports a liquid-cooled, lithium-polymer battery rated at 64 kwh, which should translate into a net driving range of more than 200 miles—though neither Kia nor the EPA has chimed in as of yet. (The previous Soul’s 30-kwh pack was good for 110 miles of range.) The Soul EV will charge via a CCS port, but Kia also declined to say how quickly. Pack specs have been released, though, and Kia rates the Soul EV’s battery at 201 horsepower and 291 pound-feet of torque, numbers that far exceed those (on the torque side) of Kia’s new Soul turbo (201 hp, 195 lb-ft). Pack weight factored in, the Soul EV still may end up being the performance edition of the hatchback, with that prodigious twist. The battery charges and recharges in a few ways. First, drivers can select one of four drive modes: Eco, Comfort, Sport, and Eco+. 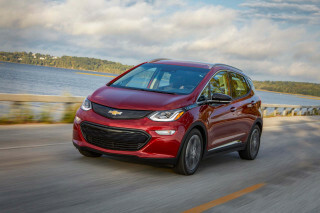 Each tweaks the EV driveline, for better output or for more regenerative braking or for better battery management. The driver can choose one of four regenerative braking levels with the flick of a steering wheel paddle—a paddle which can bring the car to a full stop, Kia says. The Soul EV can use its cameras to detect cars in the lane ahead and can adjust its battery output in advance; it can also show the driver how efficiently they drive. The 2020 Soul EV offers a lengthy list of safety equipment, some standard, some optional. The list includes parking sensors, blind-spot monitors, automatic emergency braking, adaptive cruise control, active lane control, and automatic high beams. 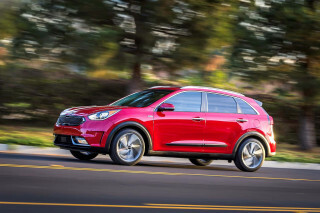 The Soul EV also will offer a 10.3-inch touchscreen display, wireless smartphone charging, Apple CarPlay and Android Auto compatibility, automatic climate control, Bluetooth with audio streaming, LED headlights, and of course, a telematics system that enables smartphone apps to display charge state, battery status, and navigation with planned charge points.The 2020 Kia Soul EV goes on sale in 2019; prices and fuel economy haven’t been disclosed, nor have the states in which Kia will sell its latest electric vehicle. Looking for a different year of the Kia Soul EV?